Dolphins are traumatized for entertainment and profit at dolphinariums around the world. ELAW partners at Ukraine's Environment People Law (EPL) have won a big victory for these charismatic mammals. "On January 3, the Supreme Court acknowledged that the Government of Ukraine is not adequately protecting wild animals used for entertainment. The court ordered that dolphins, and other Ukraine Red Data Book species, not be used for profit." EPL Scientist Kateryna Polyanska, and EPL lawyers Nataliia Kuts, Olha Melen-Zabramna, and Sofiya continue to work on this case and to adopt a national ban on dolphinariums. They are also working on a center to rehabilitate dolphins in captivity so they can be returned to the wild. ELAW marine ecologist Dr. Heidi Weiskel and Law Associate Killian Doherty provided EPL with model laws and policies around the world that protect dolphins from captivity, and information about banned dolphinariums, the myth of dolphin-assisted therapy, and more. According to La Dolphin Connection: "Dolphinariums show us the image of a playing dolphin, gentle and quick to entertain us. But behind this façade hides a sad reality: these intelligent animals are enslaved by food and suffer endlessly from the perils of captivity." 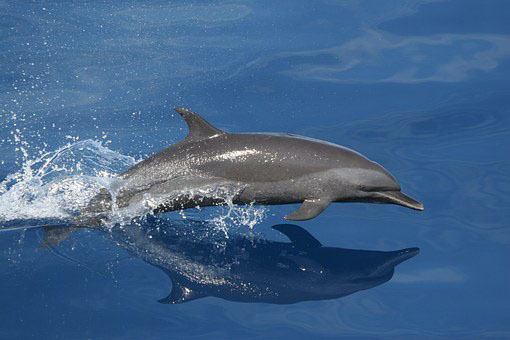 ELAW partners in Mexico, the Dominican Republic, and Jamaica are also working to protect dolphins. In the same order, the Ukraine Supreme Court affirmed the right of citizens to go to court when the government and private entities violate national environmental laws. Sofiya and the EPL team have worked for many years to defend the right to public participation as enshrined in the Aarhus Convention. "The court also affirmed that NGOs are critical for building civil society," says Sofiya. Congratulations EPL, for protecting dolphins and giving voice to civil society! Ukraine observes the Aarhus Convention! Learn more about our work and how you can support ELAW by visiting our website, Facebook, and Twitter.